Police, rescue and fire department personnel responded to a report of a vehicle driving into the Movie Gallery located at 4033 College Ave., in Bluefield, Va., at about 8:10 p.m., Saturday evening. The vehicle smashed through the front doors and came to a stop near the store counter. The Bluefield, Va., Police Department is investigating. The Bluefield, Va., Volunteer Fire Department and Bluefield, Va., Rescue Squad responded. Tommy Carroll, administrator of the squad said that the driver of the vehicle was being checked out. No additional details were immediately available. Bill Archer / Bluefield Daily Telegraph Order photo reprints. 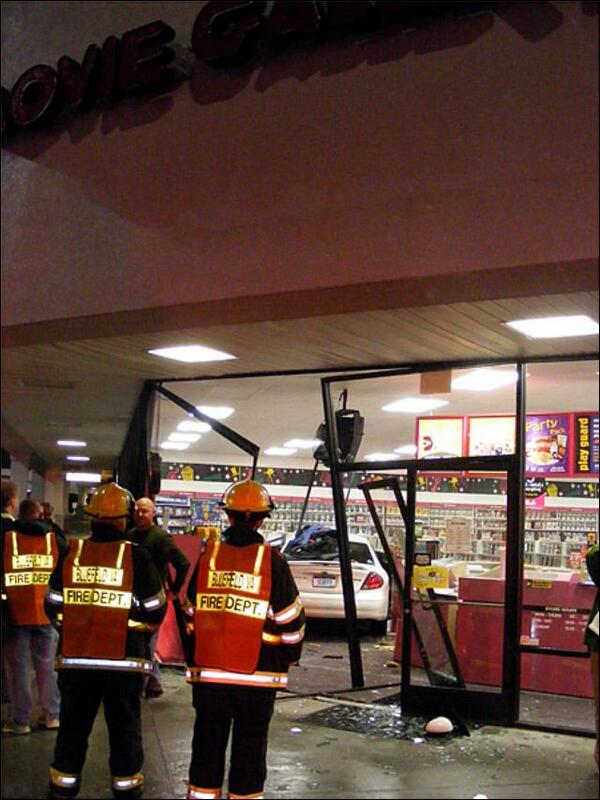 I guess they thought the Movie Gallery needed a drive through. Only in WV!